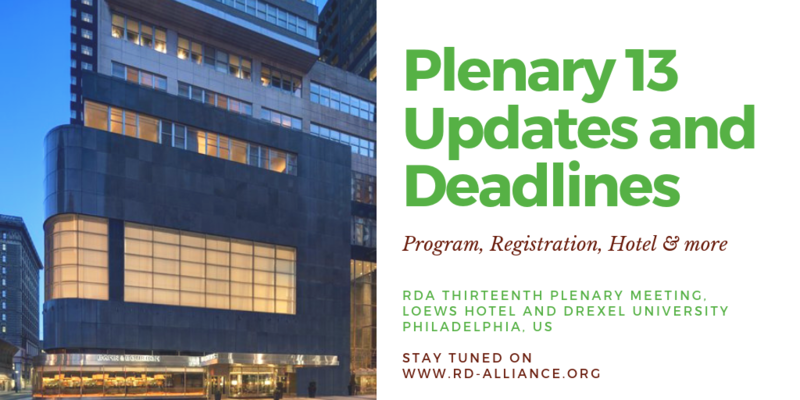 From 2-4 April 2018, RDA’s 13th Plenary (P13) will be taking place in Philadelphia, Pennsylvania at the Loews Hotel. By participating in RDA’s P13 Poster Session, you have an excellent opportunity to share your ideas, ongoing research and accomplishments with data professionals from around the globe. The deadline to submit your poster application is 28 Februray 2019 at 23:00 UTC.